I feel like this is an important book. I don’t think I was ready for how heavy the book would be. There is sexual assault (non-consensual kissing) and mention of sexual harassment that happened earlier in Pen’s life. There is Colby and all of his mess that happened in the story. The turmoil Pen goes through because of her family was so stressful to follow at times. Johnny isn’t perfect but he does the right thing when he can. He’s a good brother. He’s really the only one in the family who constantly supports Pen being who they are. I appreciated his character. He was a hard worker who didn’t take anyone’s mess. Blake is amazing. I thought of Blake is pretty cool. Love how much of a gamer she is. I could ship Blake and Pen for sure. She supports Blake. She genuinely supports Blake. Then she surprised me by doing the right thing even when it would make Pen a little upset. She did something that would keep her safe. She also supports Olivia without even knowing exactly what happened to Olivia. I love girls supporting other girls in stories. There are just great female friendships presented here. It made me so happy to see. Blake’s parents are also pretty amazing. There is one particular scene where I loved seeing the way they interacted with her and the way they interacted with Pen. It was a great contrast to Pen’s family. The story talked a lot about other’s expectations when it came to gender expression. Pen’s parents worry because of what other people will think constantly. Pen worries at the time. At the end, I feel like Pen is able to start focusing on who she is and not on who other people want her to be or thinks she should be. It made me think about those expectations as well. I enjoyed the story for sure. I had a hard time not questioning the logistics of the world but questions aside it is really interesting. A solar flare gave a lot of people powers. Meta Humans galore. They are classed at different levels with the higher level becoming superheroes. It is really interesting but felt like I needed more detail still. I love the representation in the story. I don’t read many books with bisexual main characters in this kind of genre. Jess is also an Asian protagonist. 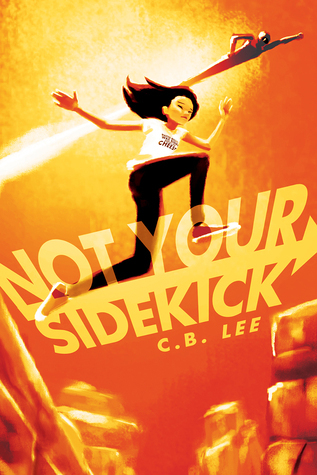 I’m all about superhero stories with QPOC characters. It was great to see how her family’s background affected their life in different ways.I also like the way the main relationship went overall. It was a cute pairing. Felt a bit too fluffy for the story at times but it was nice. There was too hinting sometimes. I figured out a lot of things really easily. I think the first reveal that Jess has no clue about is something that yeah the reader is probably supposed to figure out. If not it was okay that I did. It was a type of dramatic irony knowing the thing that Jess didn’t.I feel like the other reveals may have had too much laid out too, though. I wanted less predictable in those later chapters. So Jess has it pretty rough in this book after things really kick off. The twist and turns n her life are a lot to handle and she really handles it pretty well. I also felt like there was a definite hero journey for her that coincided with her deciding she wanted to be her own person. She wasn’t going to live in the shadow of her family or just do what they wanted her to do in order to get by.She is going to do things for herself. There also is a trans character in this story named Bells. It looks like he will be the main character of the sequel. I’m excited to see the continuation of the group’s story in the following book for sure. I really wish more had happened by the end of this one or that more have been accomplished. Even knowing that there will be another book I was a bit dissatisfied with the end. The sequel does come out this year so I hope I’m able to get it sooner rather than later. It looks like it will be focusing on Bells like I said. I am glad I read this. Jess is a great main character and I hope she and everyone else makes some major progress dealing with the situation they are all in next time. I got a great amount of reading done this year and a lot of it is from authors I never read until this year.Here is a list of some of my favorite New to me authors.Some from debut authors, some from classic authors, and some from comic writers. Check out Brokeandbookish.com for Top Ten Tuesday topics every week. 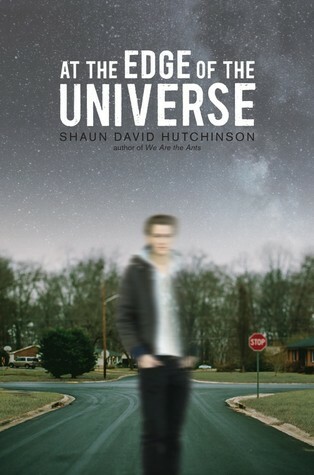 I don’t know why it took me so long to read a Shaun David Hutchinson book. 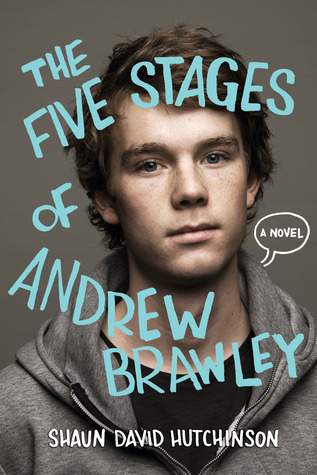 I started off this year by reading Five Stages of Andrew Brawley pretty early on then reading We Art The Ants. I love Shaun David Hutchinson’s mind. 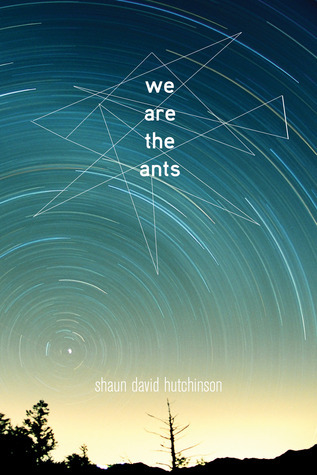 We Are The Ants is a book that should have gotten way more attention this year. It’s an emotional journey with really compelling characters. Plus a big red button that can save the earth from Aliens.One of my most anticipated releases for next year is At The Edge of the Universe. I really can’t wait for the book to come out. I’m a little obsessed in a good way. I was so excited when I got an advanced copy of this book in the #YaPride challenge unboxing and that’s an understatement if you’ve seen the video. 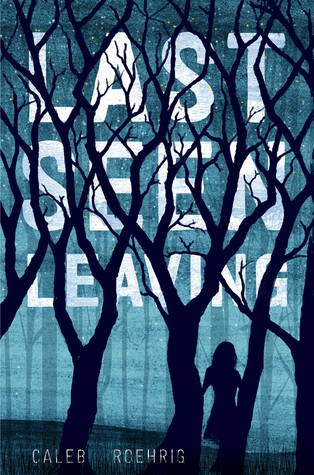 Last Seen leaving is one of my favorite books of the year and it’s a debut work. I loved the pace of the novel. It had such a compelling coming out story thrown in with a great mystery. I’d love to see this get some kind of movie adaption because visually this could be a great film. 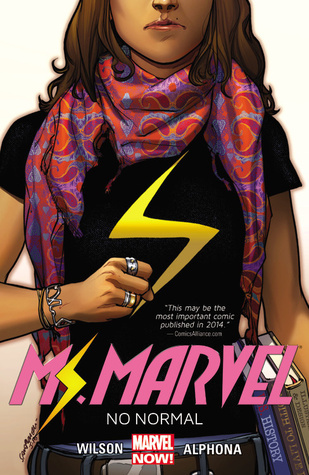 Ms. Marvel is probably my favorite comic of the year and the first time I was caught up on a comic book series. 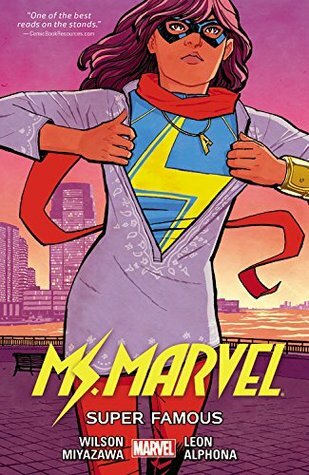 Read all five volumes over a couple of months because I love following Kamala’s journey. She also works on Unbeatable Squirrel Girl which I’ve been enjoying a lot so far. 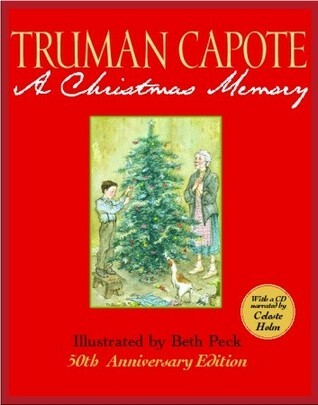 I started off by reading Truman Capote’s short stories which are really amazing. Then read Breakfast At Tiffany’s and loved it. I read a couple of biographies about Truman Capote this year too. He had a really interesting life.Need to get my hands on his remaining works.A Christmas memory may be my favorite story I’ve read from him.One of the sweetest stories I’ve ever read. I thought i read some works from this author last year but according to Goodreads, my fist time was earlier this year with Waitin For Clark. The #Gaymers series is what made me a huge fan. Annabeth Albert writes romance stories between men that are realistic and beautiful. 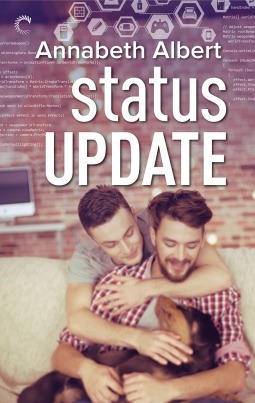 I have a thing for road trip books too so The #gaymers series is completely my thing. Reading Albert’s new book Wrapped Together right now and I’m loving it. 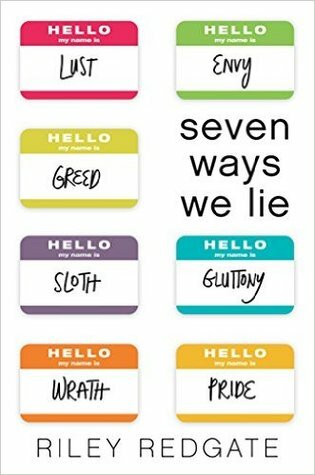 I was pleasantly surprised with how much I enjoyed Seven Ways We Lie. I often have found myself thinking back to this story over the year. Redgate did a great job with telling so many very different and compelling stories. including great representation of a character on the ace spectrum. The Great American Whatever had a relatable MC. A creative style I wasn’t expecting. Plus one of the best friendships I’ve seen in a book this year. 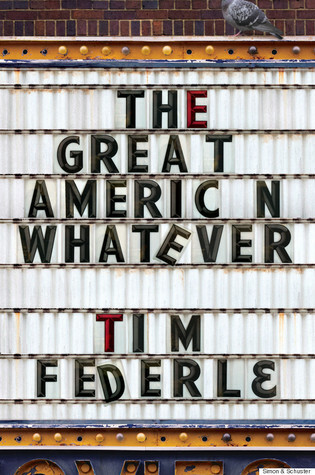 I really love Tim Federle’s writing. So much wit and this book actually made me laugh at points. I absolutely need to read more of his books next year. 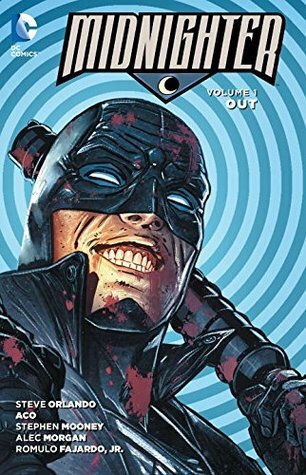 I’ve now read both volumes of Midnighter and I’m obsessed.Super happy with the direction Steve Orlando has gone with the character right now and a lot of the supporting character as well.The world building is fantastic too. Planning on reading some of his older series of other characters soon. Virgil is next on my list right now. I loved One Man Guy by Michael Barakiva. It was a story i thought I’d like but didn’t know how humorous and fun the story would actually be. It still touched on many serious issues as well. 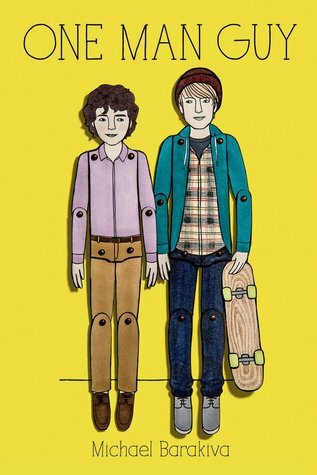 Cute teen romance with an interesting coming out Arc. Excited to hopefully read more from this author next year. This year I finished my first ever trilogy. I liked the first book of the trilogy so much I had my boyfriend get me the other two so I could read them as soon as possible. I wasn’t disappointed with the trilogy at all and had to put the author of that trilogy on this list. 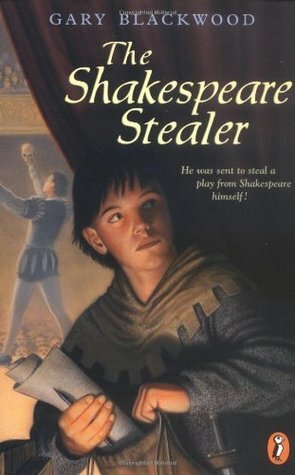 I’m a big Shakespeare Stealer fan so.go check out these books. I really enjoyed this book. It’s Queer lit in an alternate Victorian era. There were some negatives I’ll go into first. It took a while for things to kick off when it came to action and the mystery. I also wasn’t interested in some of the mythology about time and earth creation. There were chapters dedicated to learning about Aetas and Oceania. I felt like those broke the flow too much, unfortunately. I see why the info may be necessary for a future book in the series but didn’t feel it fit in well here. I’m still giving it 4 stars even with those issues I had. I’ll tell you why. I just really liked the main character.I liked following Danny on this journey. Danny is dealing with grief over a father he hasn’t completely lost. It’s like his father is gone but he still has hope that he will come back and wants to do something about it but he isn’t allowed to.That’s a lot to deal with. Grief is shown in different ways in this story.Danny, his mother, and other characters as well. Danny is in a frantic state through a lot of this then also has to deal with some PTSD from an accident prior to the start of the book. I also thought the portrayal of Danny’s PTSD was interesting. I just found his character compelling. Danny and Colton’s relationship was really good. I thought their moments together were really strong and beautifully written. I couldn’t help but smile at the pairing. Those moments where their relationship was developing kept me reading. It got me to the point where the mystery and action really kick off. I didn’t mind as much that the mystery of the clock towers and protester and everything were slower because Danny and Colton filled the time to me. When the Aetas chapters broke the flow for me Danny and Colton fixed it. I liked Daphne as a character. She’s dealing with being a minority in a way that not everyone can tell but then also ways that people see right away. She’s the only female clock mechanic we see in this book I believe. She has to deal with the way people will perceive her in her place of work and for her work. We only see a taste of it but you can tell these things happen a lot. She also is a biracial girl who can pass as white. You see her constantly trying to bridge gaps and struggle to do so. I almost wish we could see more of her story because I found her character really interesting. After a certain point, I was really pulled in and wondering how will things end. Can they get a happily ever after out of this? Part of that was the love of the characters. The story also just happens to pick up after a certain event in the book. The stakes are raised and you have to know how things will end up. I love the detail Tara Sim went into with this. This alternate 1875 London was really cool to read. The thought process that had to go into what kind of technological advances made sense in this world. Also, how women in society or homosexuality in society might be different or the same in some ways for this world. 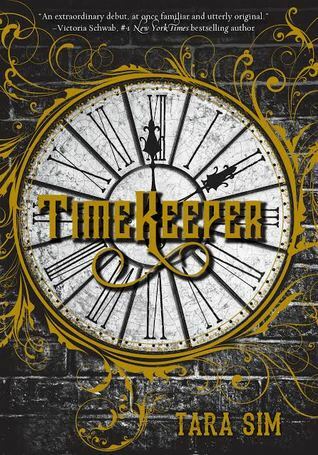 So, I loved reading the information on The Timekeeper’s London in the back of the book. Really puts some thoughts I had in perspective. I liked a lot about this but I’m not sure where things will go in another book since I think there are plans for two more. The little hint at possible future problems at the end didn’t make me too excited for the next book honestly but I’ll probably still pick it up. I love books with magic. I love books with queer characters. So I knew I’d probably at least like this book which had both. This book also has really interesting family dynamics. A magic system and culture that is much more diverse than I’ve seen in other books. They are brujas, not witches. Plus, a really awesome protagonist that I rooted for throughout the whole book. Even when Alex was making bad decisions like one that would probably get her entire family sent to another dimension I understood what she was going through and wished the best for her.I love the journey that Alex goes on in this book. From not wanting her powers to doing whatever she needs to do to get her family back. I never really liked Nova or Rishi much throughout the book. I was following the journey for Alex. Rishi defaults to comedy intense situations sometimes and it didn’t really work for me. It just annoyed me sometimes. Nova’s attitude just really ticked me off. Especially his attitudes toward the fauns and other creatures of Los Lagos. That may be because the creatures stories affected me. I was really feeling what they had to go through under the rule of The Devourer. Especially Madra and Agosto doing what they could for their people. The conflict is mostly external conflict on the surface even with all the changes Alex goes through and I didn’t have a problem with that. I liked that they focused on the task they set out to accomplish on their journey. However, I felt like there wasn’t enough in some ways. Seeing Alex’s development more or her relationships. It may just be because of not really liking what we see of Nova and Rishi but I don’t think it was that necessarily. The story didn’t feel like I thought it should by the end. Still, there was a lot of striking language and images.The way Los Lagos and the magic is described really grabbed me. Plus so many other wonderful things about the book. I heard there will be two more books. one from each of Alex’s sisters and I’m excited for that. Especially if we get more magic. Alek Khederian should have guessed something was wrong when his parents took him to a restaurant. Everyone knows that Armenians never eat out. Between bouts of interrogating the waitress and criticizing the menu, Alek’s parents announce that he’ll be attending summer school in order to bring up his grades. Alek is sure this experience will be the perfect hellish end to his hellish freshman year of high school. He never could’ve predicted that he’d meet someone like Ethan. Ethan is everything Alek wishes he were: confident, free-spirited, and irreverent. He can’t believe a guy this cool wants to be his friend. And before long, it seems like Ethan wants to be more than friends. Alek has never thought about having a boyfriend—he’s barely ever had a girlfriend—but maybe it’s time to think again. This book was an interesting experience for me.I stayed up all night reading it. It was 5am when I went back to my room. Right from the beginning, I knew it was going to be an amazing book. The opening is hilarious, fast-paced, and just fun. The rest of the book followed suit for me. It really was actually funny. There were serious laugh out loud moments for me. I sat in the lobby of my building laughing at four in the morning at parts. The doorman was concerned. I listen to music when I read often but it’s always great to listen to music featured in the book. So during this book I listened to Rufus Wainright. Alek and Ethan go to see a Rufus concert in the book.He’s Ethan’s favorite artist. It was fantastic listening to Rufus while reading this.I am a little Rufus Wainright obsessed right now because of it. (My boyfriend just said that I’m extremely Rufus obsessed) I listen to a lot of queer artists so I don’t know how I had not listened to him before now. The families are eccentric and wonderfully written.Alek’s Armenian family were a big part of the book and I loved them. The restaurant scene with Alek’s family at the beginning of the book was amazing.The customs and history you learn in the book are fantastic. Barakiva writes really great family dynamics.I also thought the little bits where we see Becky and Ethan’s family were really great as well. You get to see different kinds of families in this book. Now the relationship. Ethan and Alek are so freaking cute. I was so surprised at how well the relationship formed. It was kind of quick , but not really. It was quick but didn’t bother me like it could have. It just worked well. They are really different individual characters. I think Ethan needs more order in his life and Alek needed some freedom to learn who he really was.They are good for each other.I loved it. I really am glad I picked this up from the library. It was so good. I want to get my own copy. I want an adaption of it so much. This would be such a great comedic movie. I could not help but think that throughout this. It would be so good. It’s at the top of my books I want adapted list right now. 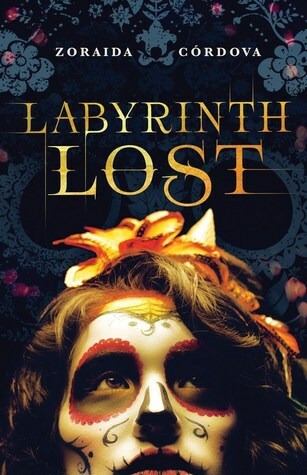 I really loved this book.Seven students each representing a deadly sin. That got me interested immediately. I love studying the seven deadly sins. The episode with the sins on charmed was one of my faves.It’s just a fun concept. Figuring out which one each student represented was fun for me too. Some are more obvious than others for sure. I felt like the story made it pretty obvious which student is a part of the affair pretty early. I thought that might take away something from the story,but really you get to see everyone else around that person reacting to them without really knowing them. It was interesting. Especially since one of the seven does know who it is from the beginning. Let’s quickly go over some of the characters. I want to talk about some of the diversity in the book. Some other things I appreciated as well. I loved Valentine Simmons. He’s so blunt. He’s not trying to be funny but completely cracked me up at times. Loved his arc. He changes a bit from where we see him at the beginning to where he is at the end of the book. Also, he’s ASEXUAL. They don’t say the word,but he is. 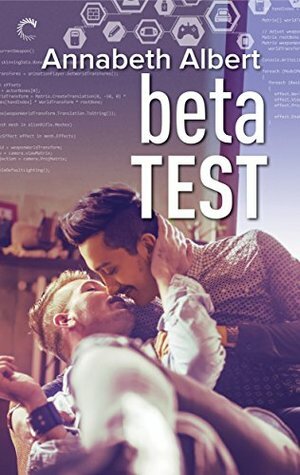 Looking for more books with Asexual characters then check this one out. The other queer character is one that I loved as well. Lucas is Pansexual. He is awesome. I had some reservations going into the book because I was told he was the character that represented greed. Could have been problematic, but it wasn’t. He really represented greed when it came to money and wanting luxurious things specifically. That aspect of him didn’t factor into his being pansexual at all. Loved the conversations around pansexuality in this because it was realistic. It’s not easy to explain to people and sometimes people don’t get it. I liked the message the book had about how people treat girls that sleep around differently than boys that do. The character that represented lust was overall a really strong character in this book to me.She didn’t let herself care what people thought of her but didn’t let people take things too far either. Also really liked where her story ended up at the end. Matt is half latino. His mother speaks Spanish at times in the book I believe. I thought that was really cool. You really see he comes from a mixed background in this. Also really liked his character overall. he had one slip up where I was like that’s not cool,but he actually redeems himself, unlike some people. This leads us to my least favorite character. I hated Claire. I got to the point in the book where I decided she was irredeemable really early. I didn’t think that would be the most annoying deadly sin to read, but it was. She’s the complete worst.I would not forgive her for the things she did in this book if I were her friends. The attempt of a turnaround for her did not land well at the end. Not enough time to make it work in her last two chapters honestly. I’d rather get another Valentine, Juniper, or Lucas chapter. Even another Olivia chapter, which we didn’t need. We had plenty of those. I’d still prefer more over Claire’s existence. So I loved this book. I had the one character I hated throughout. A sort of mystery where you wonder when will everyone find out.A few very poetic chapters. Lots of drama. A little bit of romance. Some really great LGBTQIA + characters. A dash of feminism. This book was completely for me. Definitely, recommend that people try it out. This was an Overdrive library read for me. It’s going on the list of books I need to buy because I want to own this book. 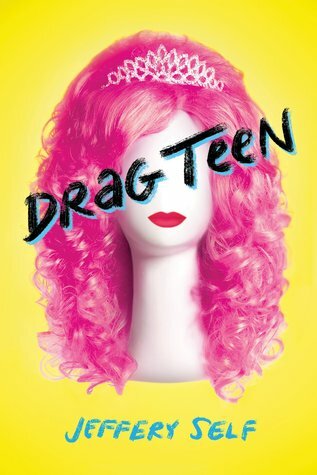 A fantastic, fabulous, funny YA debut from Jeffery Self, one of the gay icons of the YouTube generation, that follows one high school student on a drag race to his future. 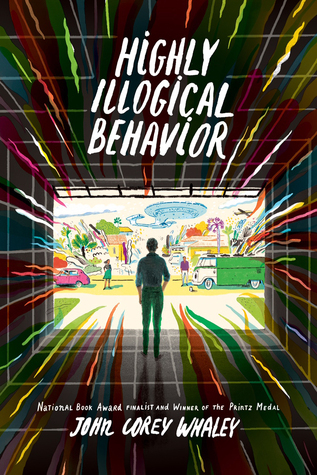 Debut YA author Jeffery Self takes us on a road trip with an insecure high school senior who has one goal: to be the first in his family to leave Clearwater, Florida, and go to college. The problem is, he has zero means of paying for school — until his friends convince him to compete in a drag teen competition for a college scholarship. This book kind of went the way I expected it to for the most part. It was a good humorous story. I think the experiences the friends had on the road trip were some of the best parts of the book. One of the things I love about road trip books is the interesting people the characters meet along the way. JT, Seth, and Heather meet some great characters on their trip for sure. I think this book took too long to get to the road trip. I say that because I know you are going to the Pageant JT. So the long period of time where he was telling everyone he wouldn’t and couldn’t do it was a little annoying. Especially because of the point here he finally decides he would. I didn’t think that moment would be such a big convincing moment. It only highlighted things he seemed to already know about his situation. JT’s self-pity and lack of self-esteem probably annoyed me more than it did his boyfriend, but after the midway point in the book, it got a little more bearable. Seriously midway. I was reading the ebook and was at about 54% when it stopped bothering me as much. Having low self-esteem is a thing. I understand that. It just felt like the reasons for it are kind of dumb in this. JT let things that were really stupid stop him from believing in himself. Homophobic jerks reactions the first time he did drag being one of those things.It just frustrated me. It made no sense. Of course, the reaction would be different in a different setting. Seth’s big reveal is also pretty frustrating.It was so dumb.His reaction to I’m not perfect is I used to be not perfect essentially.They built it up to seem something really shocking and it wasn’t at all.You are great for being such a supportive boyfriend but get out. This is not that serious.” I think I said that out loud when I was reading the ‘reveal’ at Starbucks yesterday. I’m not even kidding with you I tend to mumble to myself as I read sometimes.Definitely said that part out loud. I felt like Heather’s issues made the most sense.You saw what they were rooted from over the course of the book and it was logical. You saw people in the book not treating her the best they could. Her reactions to that were realistic and her reactions to that made me scared for her. 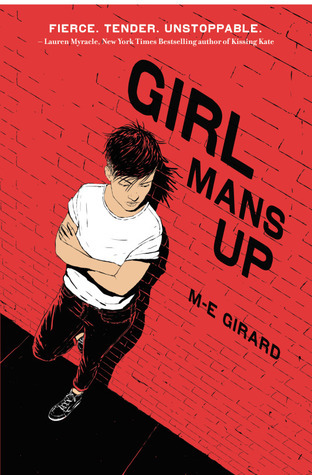 I didn’t know what would happen with her in this book and still aren’t sure about where she’d progress to at the point where this book ends even with the hopeful tone at the end for all the characters really. Not knowing what is in store for the future and living in the moment is one of the themes in this book, though. It’s something JT really needs to be able to do. You see really quickly it’s something he is going to struggle to do. Still thinking about past embarrassments or worrying about his future. Things wrapped up okay at the end.Not exactly as you’d expect , though. One aspect of things didn’t make that much sense to me. I may have to reread some interactions down the line to see where the turnaround came from more. I really don’t like unrealistic 360’s in books. Overall a good book. Sort of campy. Think it would make a great movie. The humor suits watching it well. Some jokes would land better hearing or seeing them out loud than reading it in a book for sure. I listened to this audiobook in one day. Most of the time I was trying to clean my apartment,but ended up just stopping to listen to the book a lot of the day. 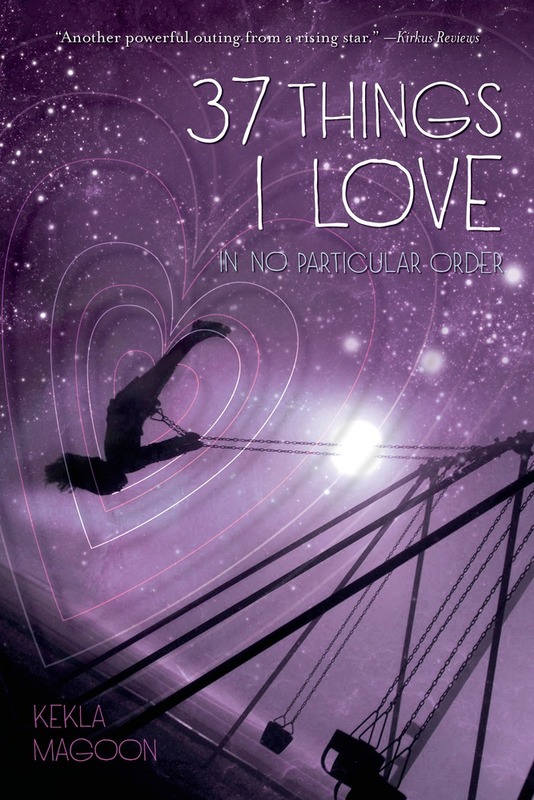 There were so many things I liked about this book and I had some problems with it too. Midway through the book I was invested because of how complicated and interesting the dynamics in the relationships were. Lisa, Solomon were each really interesting characters. I did not expect to like Clark as much as I did. I usually don’t like characters like Clark very much. He was just different, though. It’s why he fit so well with Solomon really. He felt like a really genuine character. I liked it all a lot. Their friendship is one of my favorite friendships ever. I was jealous. The whole plot with Clark and Solomon in the book was really familiar for me. It was relatable in some ways. Lisa is something else.I honestly found myself laughing at Lisa’s life when I shouldn’t have been. Like the entire last half of the book. The situation she causes with her own insecurities. I laughed. I couldn’t help it. I could see what was going to happen and just had to. The book is one of those where it all starts off because of questionable and immoral decisions of one character. Books like that can work, but often don’t. This works because people are telling Lisa that what she’s doing is wrong each step of the way. There is always a tension building as you think about when Solomon will find out what she did or if he even will. Solomon’s grandmother is amazing. I wish I had a close relationship with one of my grandmother’s like what Solomon has with his. It’s really great to see.I loved their conversations in the book. One more side character. At first, I didn’t like Janice. I still don’t but I don’t hate her. Janice isn’t the best person in the world, but neither is Lisa. Their friendship actually makes sense to me, which is crazy. It did not for a while there. Then I woke today and it just made sense. People who are sometimes horrible people being friends makes sense. Solomon isn’t in therapy for his agoraphobia. I really liked that his parents saw that it wasn’t helping. Therapy isn’t for everyone. I liked that the other two characters went to that as a solution first telling him that’s what he needed because people really do that. It was realistic and didn’t have any affect on Solomon. Them saying that didn’t make him run to his parents and ask for a therapist. He understood what worked for him and someone telling him what they thought he needed didn’t change anything about what he thought. If you don’t like when characters joke around mental health.Maybe don’t read this. Solomon does it himself and so does his parents. I mostly felt fine with it in this. Why? His family’s sense of humor made sense to me.The family unit in this book seemed like one that really worked.I feel like Solomon’s parents understood him. I know a lot of people who joke about their conditions in the same vein for whatever reason. My sister used to all the time. I have. Still, there were moments where things made me felt a little off. It depended on who was using the language. So if Lisa, Clark, or someone else like Janice did it I didn’t like it much.You could argue that Lisa and Clark become as close as family,but there are things said really early in the book by them that I didn’t like. It’s a book about friendships and being oneself. It had its problems , but I still recommend it. I feel like at the end Lisa is at a point where she realizes her actions were wrong. That’s what you would hope for. I’d like more there. I’d like her to really recognize the specific things she did and said that were wrong. Her attempts at different kinds of therapy when she is not a psychologist yet. I’d want her to understand even more how the things she says to people matter. You know what the problem actually is. The last chapter. There is a line from Lisa that really annoyed me. I think the one line drops the book a little. It was just not good. I really questioned if she really got it in the end because of it.If I ignore that then I’d say I liked the ending a lot more,but it’s hard to ignore. I’d still recommend people try the book like I said. The characters are really great. John Corey Whaley does a great job of pulling you into the story.